This year Santa will take the place of polar bears to dress the new bottle collector in France. This legendary man is wearing his famous red coat with a bottle of Coca-Cola in hand. Its release is scheduled in mid-November in supermarkets. 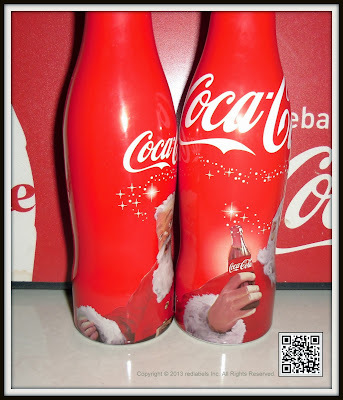 Since the 30's, Coca-Cola was able popularized Santa Claus thanks to its advertisements. For this, the brand has decided to honor him by giving her a place in Grevin museum! 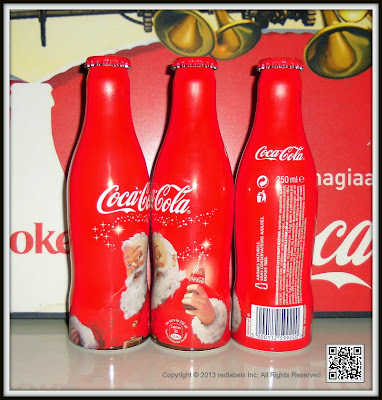 Yes, in addition to the cover of the new aluminum bottle, Father Christmas will have its place among the wax figures. It will be shown again with a bottle of Coca-Cola in hand. 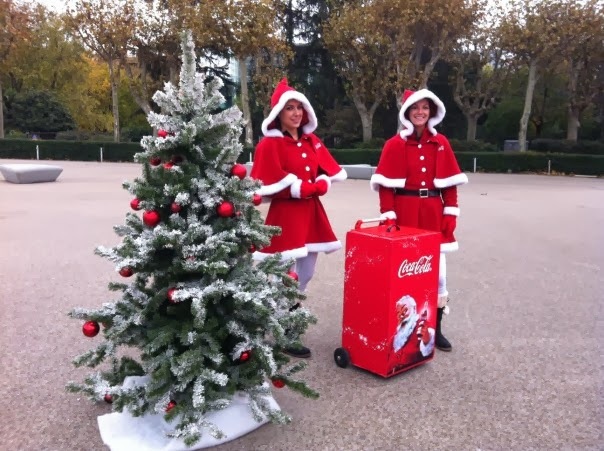 For the Christmas tour Coca-Cola 2013 Christmas windows are back in 5 major cities of France. November 22 to December 24, 2013, traveling showcases unveil 4 animated and interactive showcases the heart of a forest, populated by trees and bright animals. 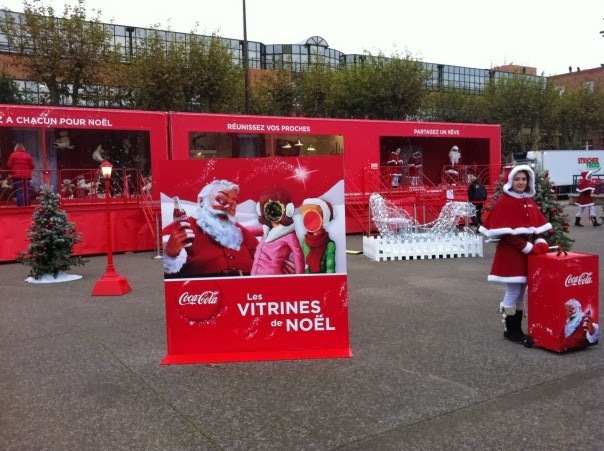 After enchanted young and old with the famous train Christmas, Coca Cola is going on tour to five major French cities to offer as last year's Christmas windows of traveling. 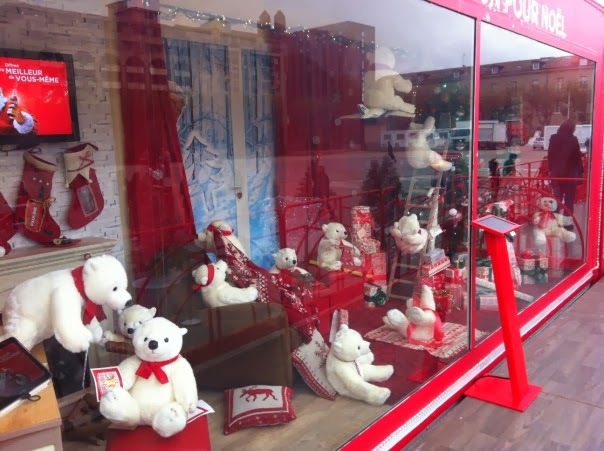 Polar bears and elves will accompany this edition that will enchant children again. If last year, Santa had boarded his studio and home for them to all, this year, he comes closer look at the Christmas preparations and ensure that everything will be ready in time for receive. 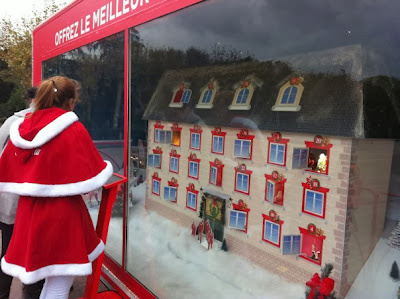 The visitor is transported in a warm and cozy living room, the colors of Christmas. Small polar bears are active for the final touches to the decorations: add balls or tinsel on the Christmas tree, knitting a sock last, make stencils for windows ... Other, more naughty, fun all around. 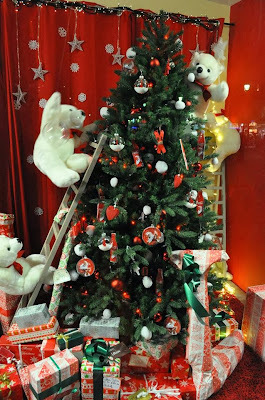 In this window, the small loops can play to rekindle the fire in the fireplace or shine Star Tree Topper. Christmas is a symbol of family reunion around a beautiful table. 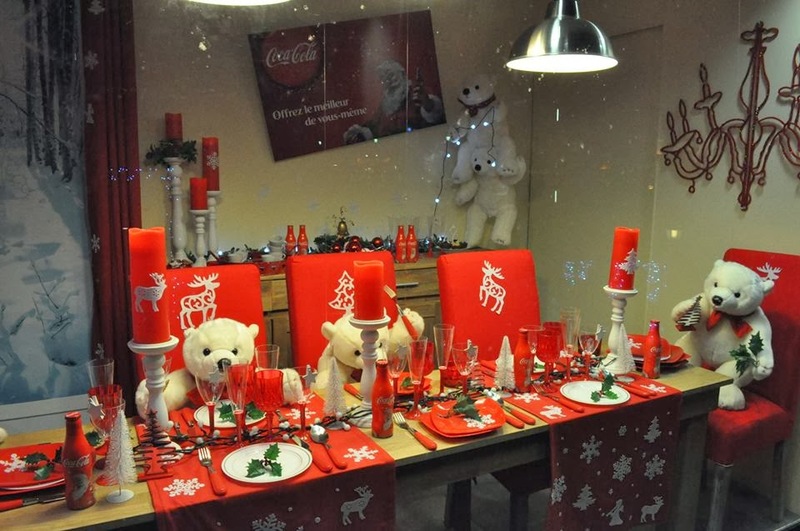 Polar bears are in turmoil to prepare a feast and receive their loved ones. 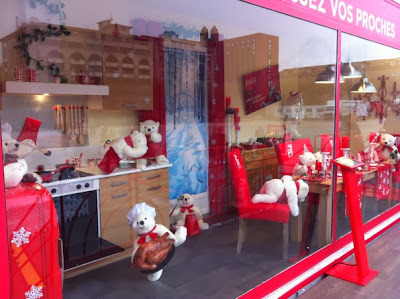 A unique moment of conviviality, which children can participate in helping the Bears to light the candles. 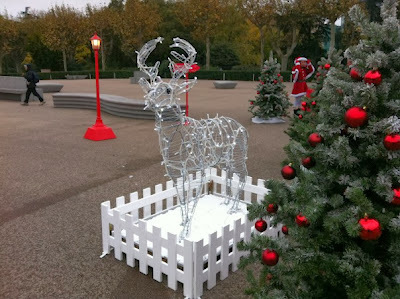 Finally, everything is ready to welcome Santa. In the room, floating gifts in pretty bubbles. Front of the window, a leprechaun with a touch pad is ready to take pictures of the children who would pose with Santa. 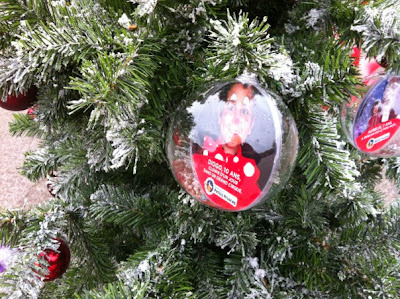 Printed on site, and then posted on the facebook account of the visitor or mailed, it will be a great memory of that day. 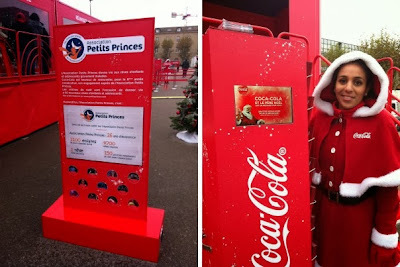 A showcase that also wants a wink tender look at all the dreams of children of Little Princes, which Coca-Cola participates every year. Note that a guide with recipes, hints and tips will be distributed on the tour. Children can learn to create beautiful decorations and discover songs to enliven the eve and stories to lull the full head images. 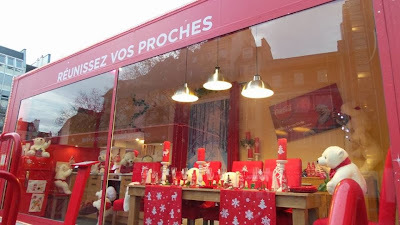 Paris: from December 20 to 23, before the Pompidou Centre - Triangle Piazza 12:30 p.m. to 7:30 p.m.
Like every year, Christmas is all about sharing. This year, for the 7th consecutive year, Coca-Cola joins Petits Princes who gives life to the dreams of children and adolescent patients. 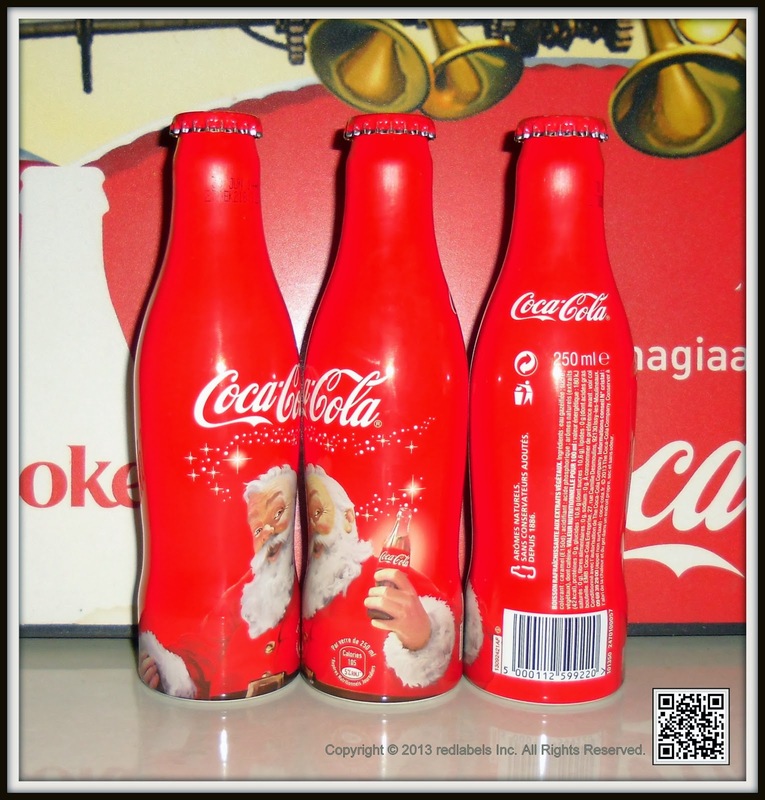 Sales Package collector of Coca-Cola bottle it will be fully repaid. Most people can agree on what Santa Claus looks like - jolly, with a red suit and a white beard. 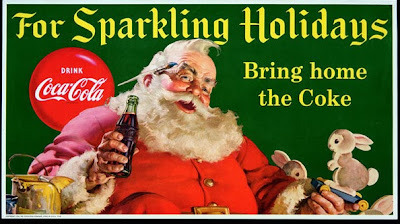 But he didn’t always look that way, as Coca‑Cola advertising actually helped shape this modern day image of Santa. 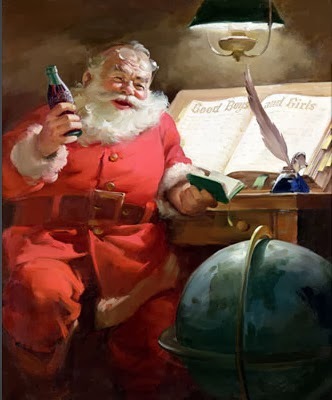 In 1931, artist Haddon Sundblom created magazine ads for Coca‑Cola inspired by Clement Clark Moore's 1822 poem 'The night before Christmas', featuring St Nicholas as a kind, jovial man in a red suit. 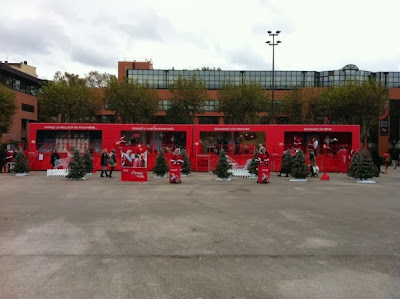 However, up until then images of Santa Claus had varied throughout different regions and cultures. Some portrayals even presented him as an elf-like, spooky or scary chatacter - far from the merry old man we know today. 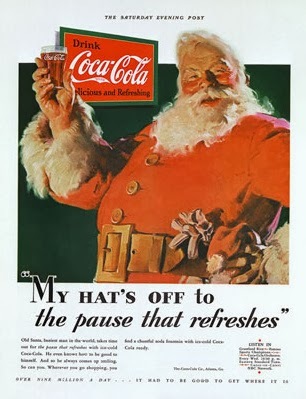 Because magazines were so widely viewed, and because Sundblom's portrayal of him appeared for more than three decades, the image of Santa most people have today is largely based on Coca‑Cola advertising. From 1931 to 1964, Coca‑Cola advertising showed Santa on his rounds, pausing to read a letter and enjoy a Coke, and raiding the fridges at a number of homes. 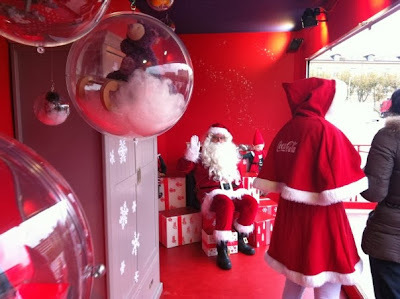 Sundblom painted Santa using a live model - his friend, Lou Prentiss, a retired salesman. When Prentiss passed away, the artist used himself as a model, painting while looking into a mirror. 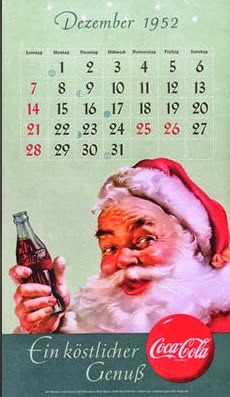 After the 1930s, he used photographs to create the image of St Nick. 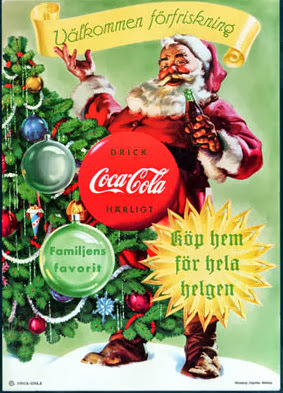 In 2001, the artwork from Sundblom's 1962 original painting was used as the basis for an animated TV commercial starring the Coca‑Cola Santa. The ad was created by Academy Award-winning animator Alexandre Petrov. 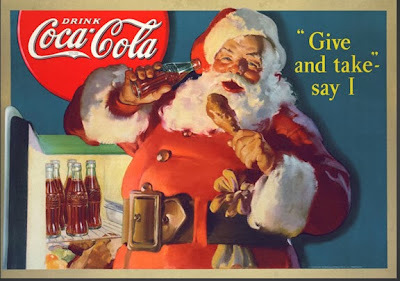 The Santa Claus we all know and love — that big, jolly man in the red suit with a white beard — didn’t always look that way. 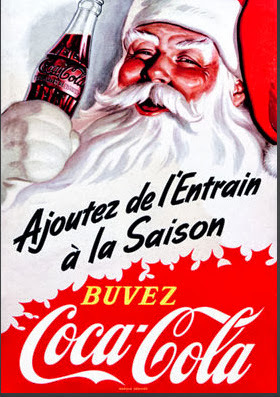 In fact, many people are surprised to learn that prior to 1931, Santa was depicted as everything from a tall gaunt man to a spooky-looking elf. He has donned a bishop's robe and a Norse huntsman's animal skin. In fact, when Civil War cartoonist Thomas Nast drew Santa Claus for Harper's Weekly in 1862, Santa was a small elflike figure who supported the Union. 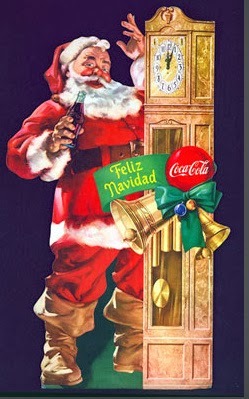 Nast continued to draw Santa for 30 years, changing the color of his coat from tan to the red he’s known for today. 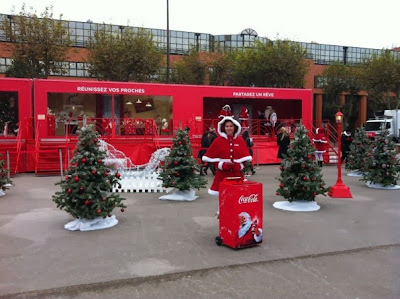 Here, a few other things you may not have realized about the cheerful guy in the red suit. 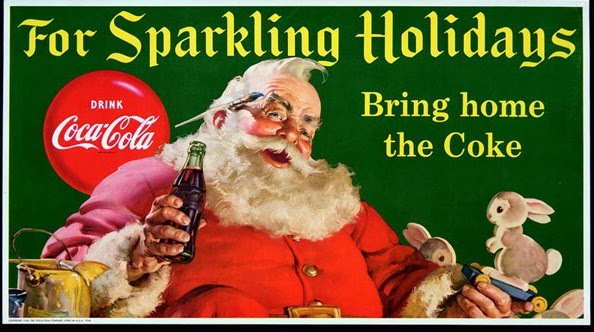 The Coca-Cola Company began its Christmas advertising in the 1920s with shopping-related ads in magazines like The Saturday Evening Post. 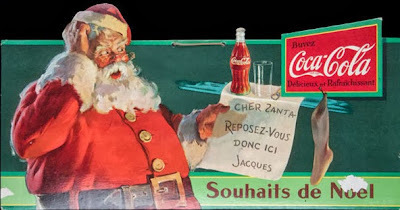 The first Santa ads used a strict-looking Claus, in the vein of Thomas Nast. 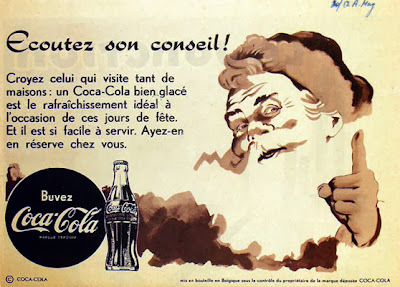 In 1930, artist Fred Mizen painted a department-store Santa in a crowd drinking a bottle of Coke. 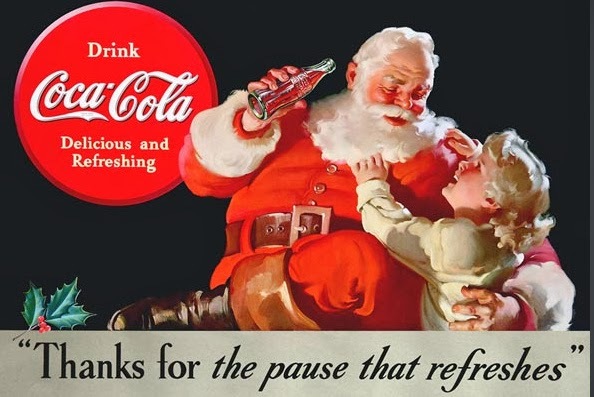 The ad featured the world's largest soda fountain, which was located in the department store Famous Barr Co. in St. Louis, Mo. Mizen's painting was used in print ads that Christmas season, appearing in The Saturday Evening Post in December 1930. In 1931 the company began placing Coca-Cola ads in popular magazines. 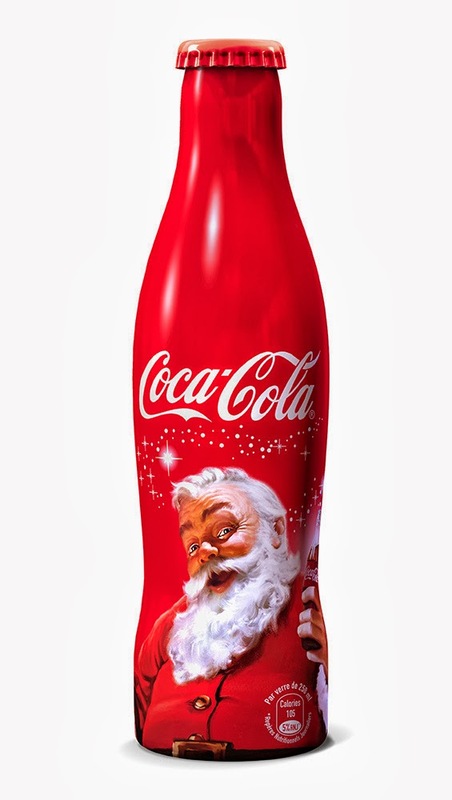 Archie Lee, the D'Arcy Advertising Agency executive working with The Coca-Cola Company, wanted the campaign to show a wholesome Santa who was both realistic and symbolic. So Coca-Cola commissioned Michigan-born illustrator Haddon Sundblom to develop advertising images using Santa Claus — showing Santa himself, not a man dressed as Santa. 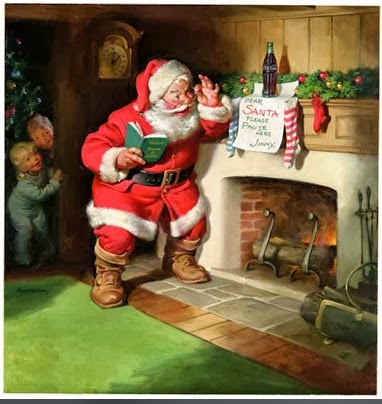 Sundblom’s Santa debuted in 1931 in Coke ads in The Saturday Evening Post and appeared regularly in that magazine, as well as in Ladies Home Journal, National Geographic, The New Yorker and others. 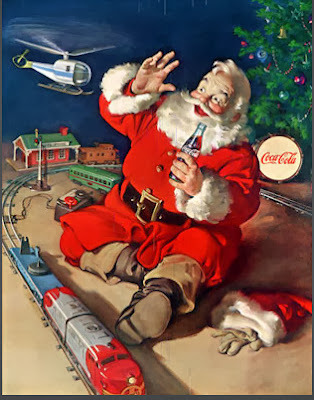 From 1931 to 1964, Coca-Cola advertising showed Santa delivering toys (and playing with them! 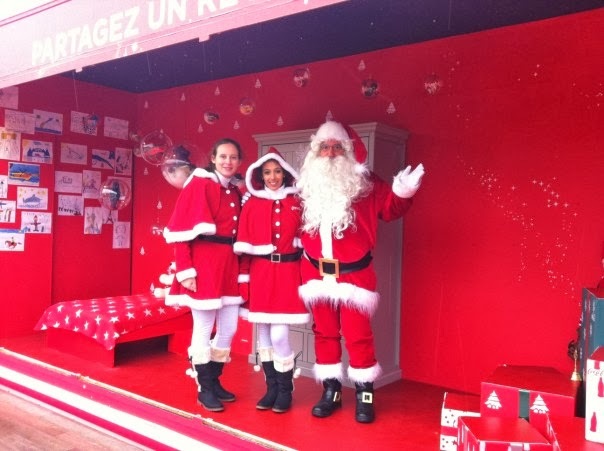 ), pausing to read a letter and enjoy a Coke, visiting with the children who stayed up to greet him, and raiding the refrigerators at a number of homes. The original oil paintings Sundblom created were adapted for Coca-Cola advertising in magazines and on store displays, billboards, posters, calendars and plush dolls. 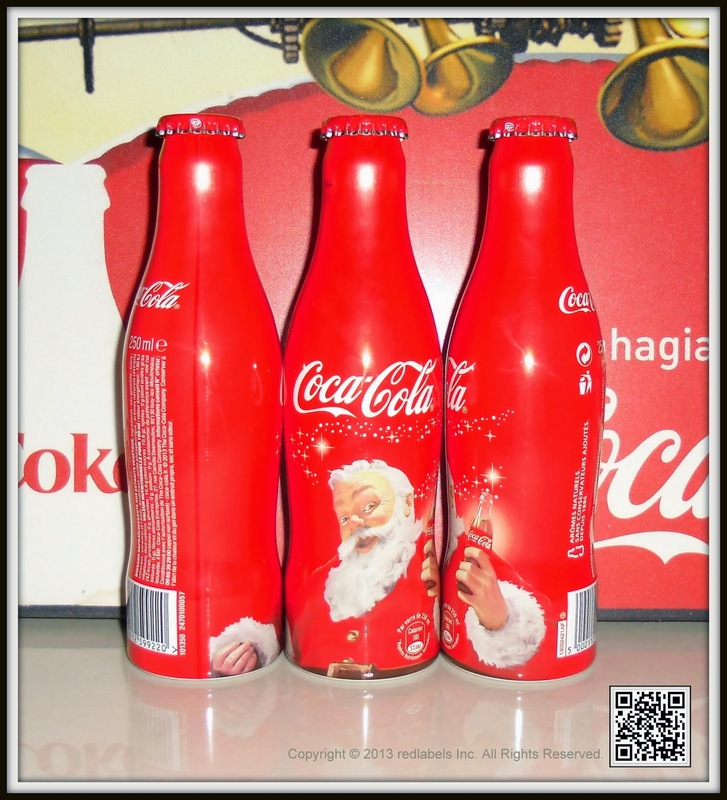 Many of those items today are popular collectibles. 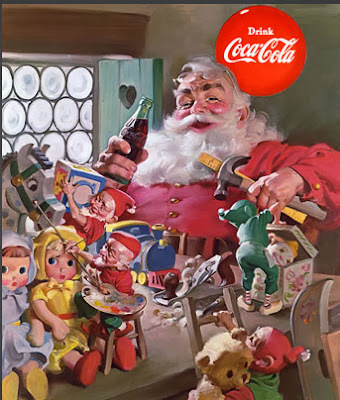 Sundblom created his final version of Santa Claus in 1964, but for several decades to follow,Coca-Cola advertising featured images of Santa based on Sundblom’s original works. These paintings are some of the most prized pieces in the art collection in the company’s archives department and have been on exhibit around the world, in famous locales including the Louvrein Paris, the Royal Ontario Museum in Toronto, the Museum of Science and Industry in Chicago, the Isetan Department Store in Tokyo, and the NK Department Store in Stockholm. 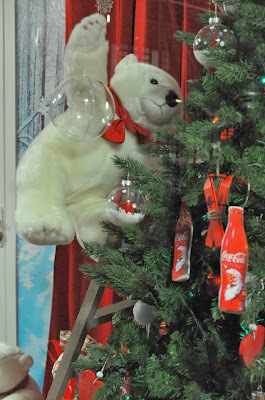 Many of the original paintings can be seen on display at World of Coca-Cola in Atlanta, Ga. 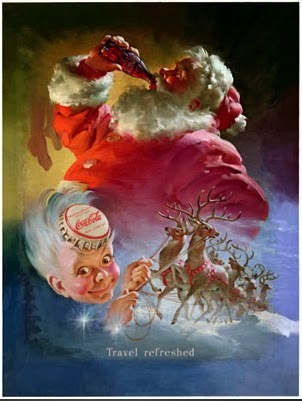 In the beginning, Sundblom painted the image of Santa using a live model — his friend Lou Prentiss, a retired salesman. When Prentiss passed away, Sundblom used himself as a model, painting while looking into a mirror. 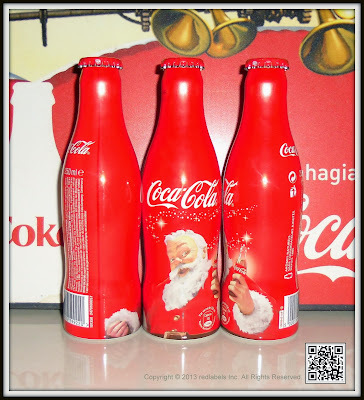 Finally, he began relying on photographs to create the image of St. Nick. 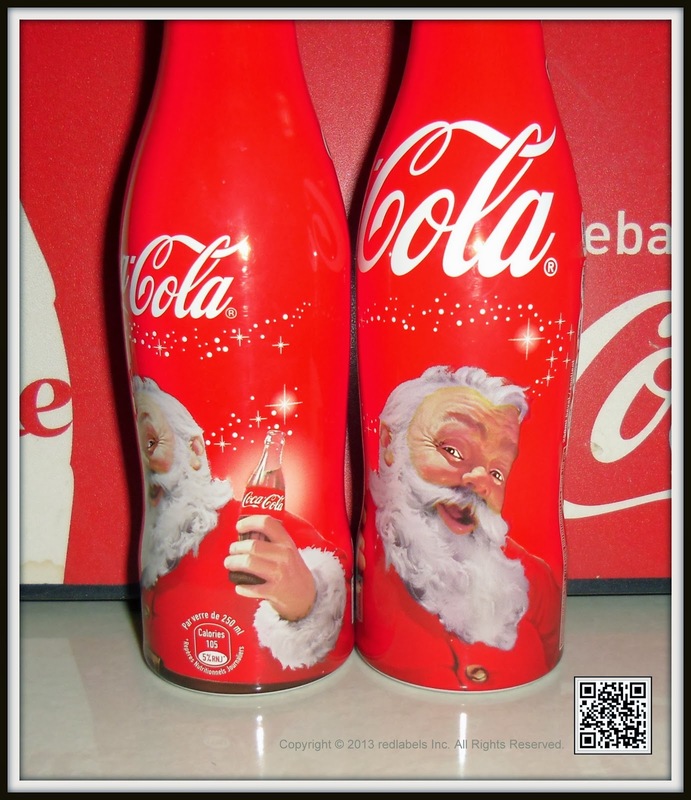 People loved the Coca-Cola Santa images and paid such close attention to them that when anything changed, they sent letters to The Coca-Cola Company. 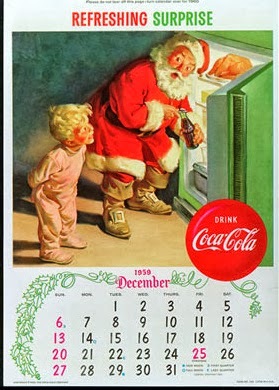 One year, Santa's large belt was backwards (perhaps because Sundblom was painting via a mirror). 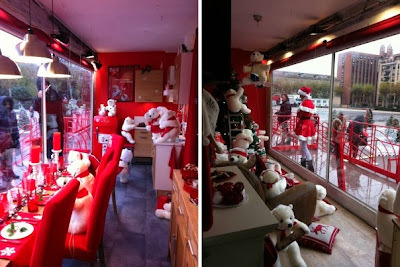 Another year, Santa Claus appeared without a wedding ring, causing fans to write asking what happened to Mrs. Claus. 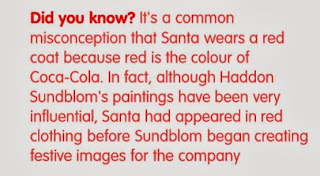 The children who appear with Santa in Sundblom’s paintings were based on Sundblom's neighbors — two little girls. So he changed one to a boy in his paintings. 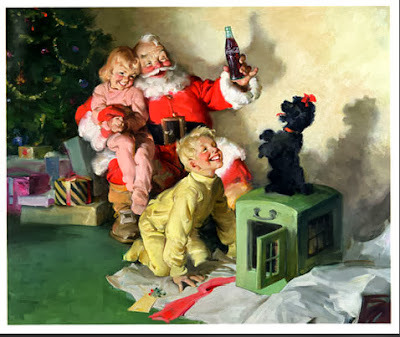 The dog in Sundblom’s 1964 Santa Claus painting was actually a gray poodle belonging to the neighborhood florist. But Sundblom wanted the dog to stand out in the holiday scene, so he painted the animal with black fur. 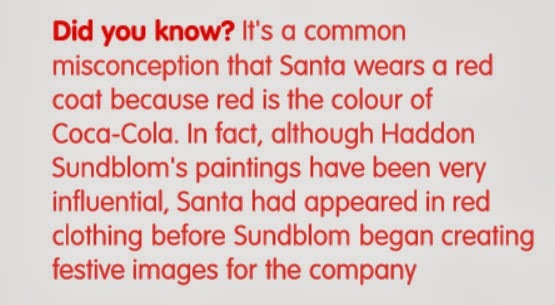 In 2001, the artwork from Sundblom's 1962 painting was the basis for an animated TV commercial starring the Coca-Cola Santa. 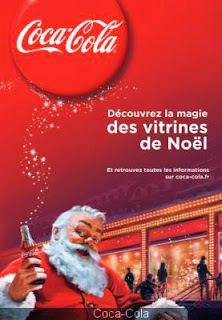 The ad was created by Academy Award-winning animator Alexandre Petrov.